The Galaxy S9 is now on sale across the globe and a new deal from Samsung is making it more affordable to own. The Korean technology firm has announced an offer that allows fans to take delivery of this new flagship for just £19.99 per month. 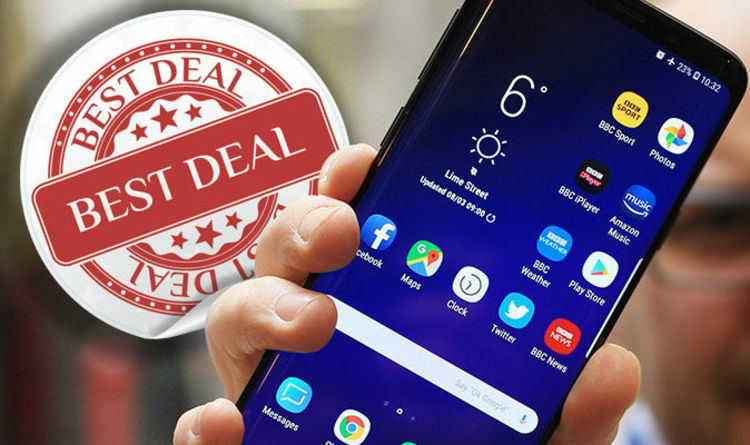 This deal works via Samsung’s trade-in programme with owners of older smartphones able to hand over their devices in return for a lower price on the S9. If you have a smartphone that qualifies you can reduce the upfront cost of the S9 to £533 - usually £739. Samsung is then offering zero per cent finance over two years which means customer only pay £19.99 per month to own this new handset. This clearly doesn’t include any minutes, texts or data but with SIMs available for as little as £5 per month this is a very cheap way of owning the S9. There is one catch, however, as it seems you’ll need to act fast to take Samsung up on the offer as it runs out at 11:59pm on March 15. You can check out full terms and conditions here. This deal is all part of Samsung’s commitment to get its new devices into as many hands as possible. In a recent interview with Express.co.uk, Samsung’s Kate Beaumont told us: “One of things that we are conscious of is that innovation builds a bit more cost into the phone and so we’re looking for ways to make sure customers that do want the S9 and S9+ can afford it. “We’ve had trade-in programmes and we continue to look at running those, we’ve also had 0% finance options. Samsung’s new S9 offers a swathe of upgrades over its predecessor including a much faster processor, upgraded camera which is better in low light, and a tweaked design with a more convenient fingerprint scanner placement. The larger S9+ also features more RAM and a dual-lens rear camera which can add DSLR-style depth of field to images. If you’re still undecided about upgrading you can read our Galaxy S9+ review here. Along with this deal there's more good news for Samsung fans as it seems the Galaxy S8 is finally getting Android Oreo in the UK. There’s no confirmation if this is a full UK rollout or if Oreo will slowly be pushed out across the country. Early reports have suggested that those using the Vodafone and Three Mobile networks are some of the first to get Oreo.